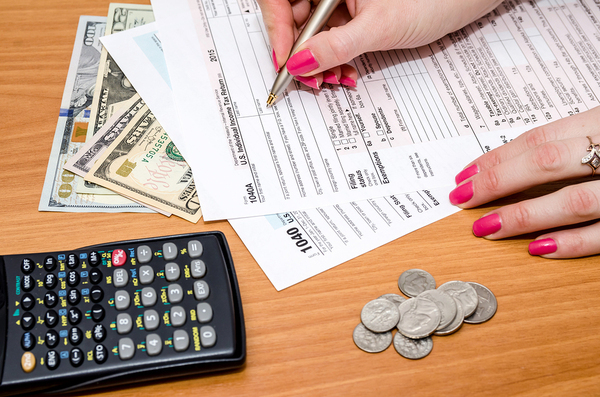 What’s the Most Cost-Effective Way to File Your Taxes? It’s March, which means there is no more time to hide from the fact that it’s tax time again. No one wants to pay more than what they owe in order to complete their return, but at the same time, working with professional accountants can result in a higher refund due to their intricate knowledge of the system. If you’re on the fence about whether you should file your taxes on your own, it’s time to compare costs to figure out which approach will give you the most bang for your tax deduction buck. It’s tax time – are you ready to get to work? No matter which route you choose for your taxes, you’re going to have to do a bit of work to get everything in order. If you don’t have a lot of extras to deduct or multiple assets, you can get away with filing on your own at no cost whatsoever. For those with incomes under $64,000, you can file for free through the IRS and for your state taxes. In recent years, tax prep software has emerged as a sort of middle-ground between doing your taxes alone and working with a professional. Tax prep software will guide you through the filing process, automatically searching for applicable deductions and savings based on the information you enter. Costs are variable when it comes to working with a tax prep software. For example, for simple personal filings through TurboTax you can use the free edition, and costs rise from there to $40 for the deluxe version and $100 for the self-employed version. Keep in mind that you’ll have to pay additional costs for your state filings, except when using the free version. You’ll have different forms of support throughout the process, but you won’t get the personal attention of working with an accountant. Take the burden off your shoulders with professional help. The main benefit of hiring an accountant to do your taxes is that it takes the load off of your shoulders, allowing you to make time for your day-to-day routines of work and family. If you file alone and have little-to-no additional deductions or assets, you might be able to squeeze by on your own or with tax prep software, but as your family and finances grow, so will the importance of filing accurate returns. The biggest downside of working with a professional is the cost. The National Society of Accountants reports average fees for 2016-2017 to start around $175 and run up to $500, depending on the complexity of your returns. With an accountant, you’ll also have to hand over all of your financial information to someone, meaning it’s essential to find someone you trust. Plus, just because your chosen accountant handles tax prep doesn’t mean that he or she will be able to save you money – or that you will be protected from audits or errors in your filings. When it comes down to it, your personal financial picture will determine your best option for filing taxes this year. If you are number-savvy and familiar with the tax structure in general, your cheapest option will be to handle your taxes on your own. However, as things get more complicated, you’ll end up saving more by seeking out more support. No matter which option you choose, you are the one responsible for gathering the appropriate information. The onus is on you as a taxpayer, meaning that should you be audited, responsibility is fully on your shoulders. Check all data for typos and errors before submitting, regardless of who handles the input. Keep your costs down all year long by signing up for an online deal site. By doing so, you’ll never miss a deal on tax services, or anything else. Sign up for savings and deals now.